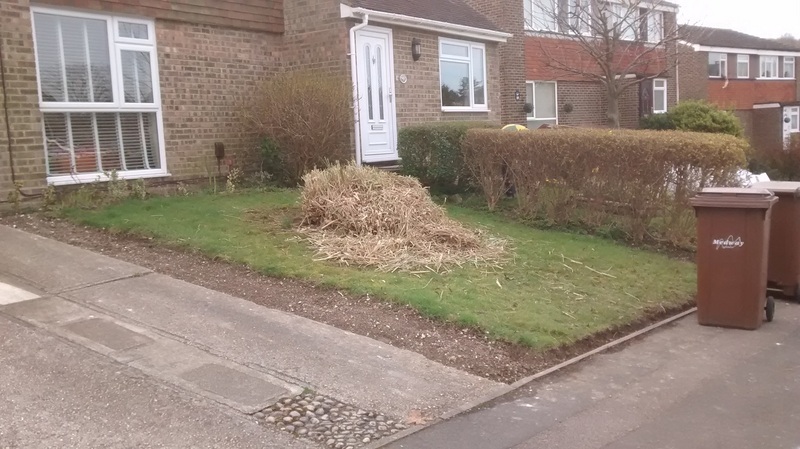 Sloping front lawn with a tired old pampas grass and dirt border next to the drive. 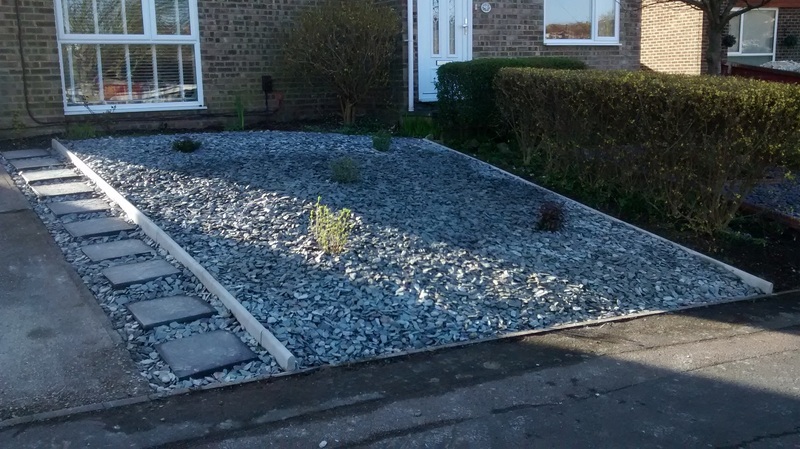 Grass cut and pampas removed.Green slate, new paving slab path and evergreens planted. Green slate laid over membrane will keep the weeds away and the evergreens planted through the membrane will soften the slate as they grow. 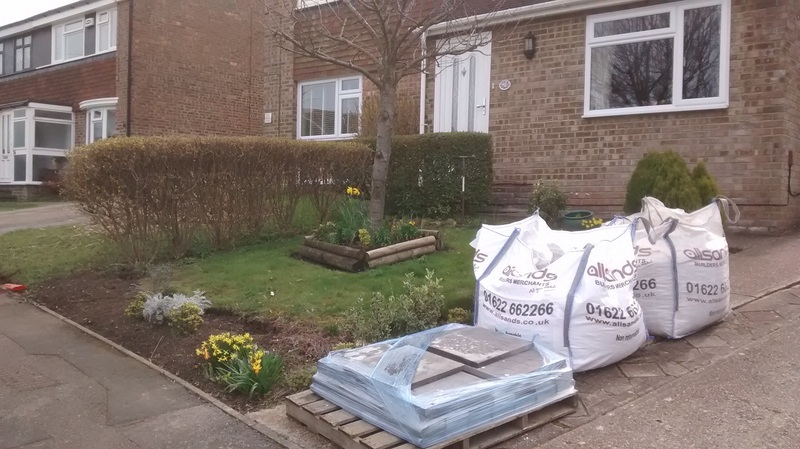 The addition of new paving slabs makes access from the drive easier. Next door it took longer to get the mower out than it did to cut the grass. Logs around the tree were rotten and needed replacing. Old grass area and the tree bordered by rope edging stones. 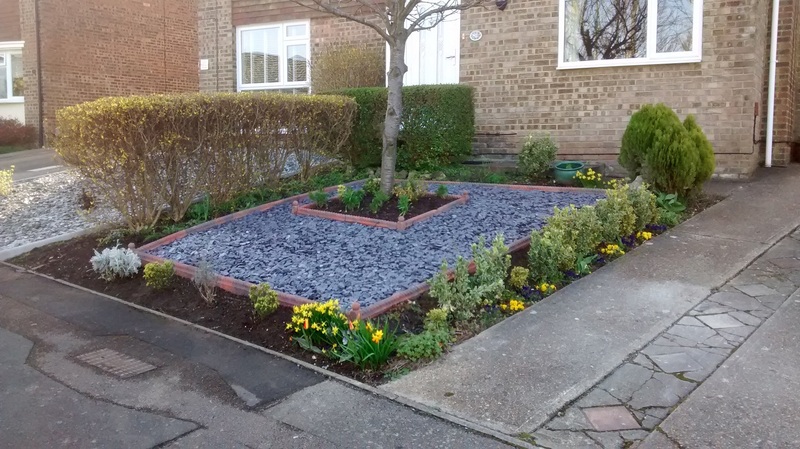 Grey slate over membrane and replanting of the small shrubs and bulbs completes the job. No more silly little mowing jobs!